Instapak® foam is a simple cushioning or blocking and bracing process for an array of items in varying shapes and sizes. Instapak® foam can be dispensed into a carton lined with high strength Instamate® film, in to a bag that will be set in to a carton or, it can be pre-molded with a simple wood mold producing the desired cushion shape. 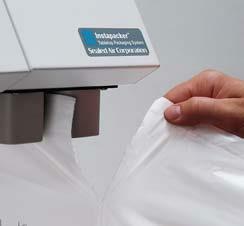 Introducing the Instapak® Simple™ foam-in-bag packaging system. 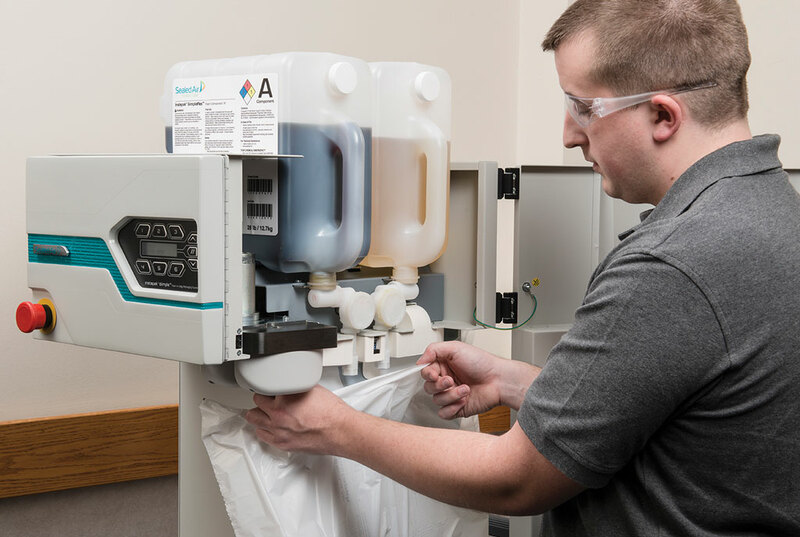 True to its name, the Instapak® Simple™ system is our easiest to use foam-in-bag system yet, merging the premium performance of Instapak® foam packaging with an on-demand delivery system that requires minimal training and service. 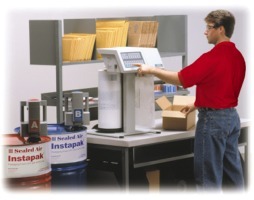 NO MESS, NO FUSS - In addition to being easy-to-use, the Instapak® Simple™ system is virtually mess-free. 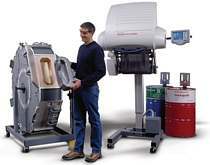 All foam components and materials are self-contained at all times, eliminating clean-up concerns. And thanks to simplified operation, the Instapak® SimpleTM system is also mess-up free — packagers are assured consistent, pre-determined packaging material every time. 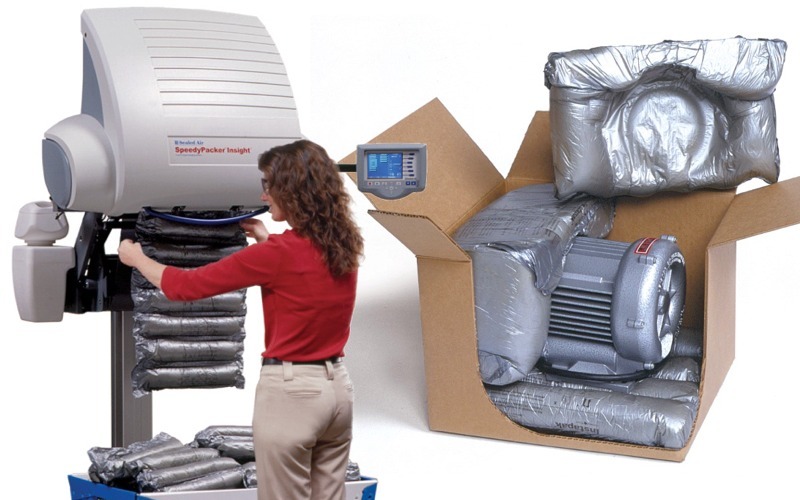 MINIMAL INVESTMENT - The Instapak® Simple™ utilizes new foam mixing technology that eliminates pumps and heating elements that larger volume systems require. 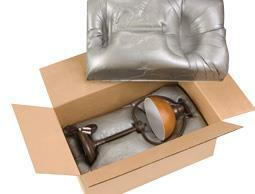 Foam components are delivered in practical containers, reducing the need to buy and store foam components in bulk. 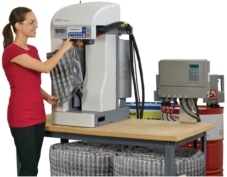 This economical Instapak® foam system is versatile yet simple to use. The UL approved, hand held, all-electric operation is safe, reliable, ideal for small to mid-size packaging operations. 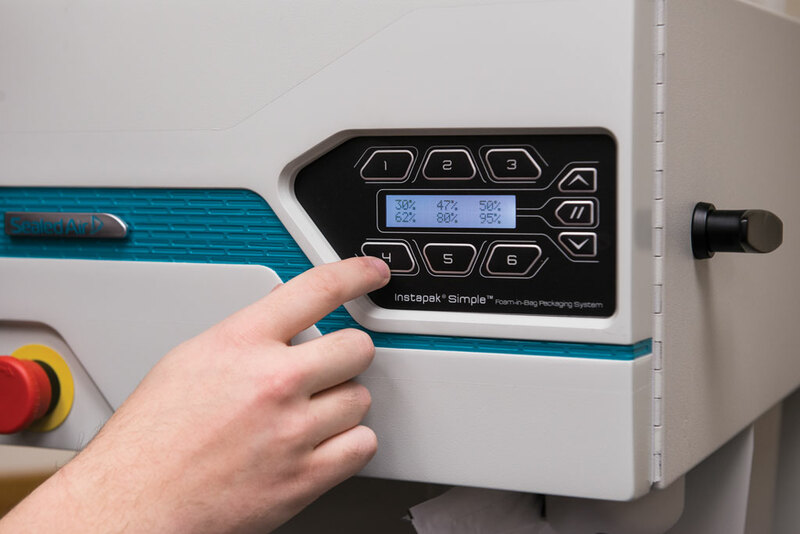 This system features self-diagnostics controls, buit-in timers, and the flexibility of adjusting the amount of foam dispensed. The High Performance Hand-Held Solution. An all electric, microprocessor controlled UL approved foam-in -place packaging system, ideal for medium to high volume operations. 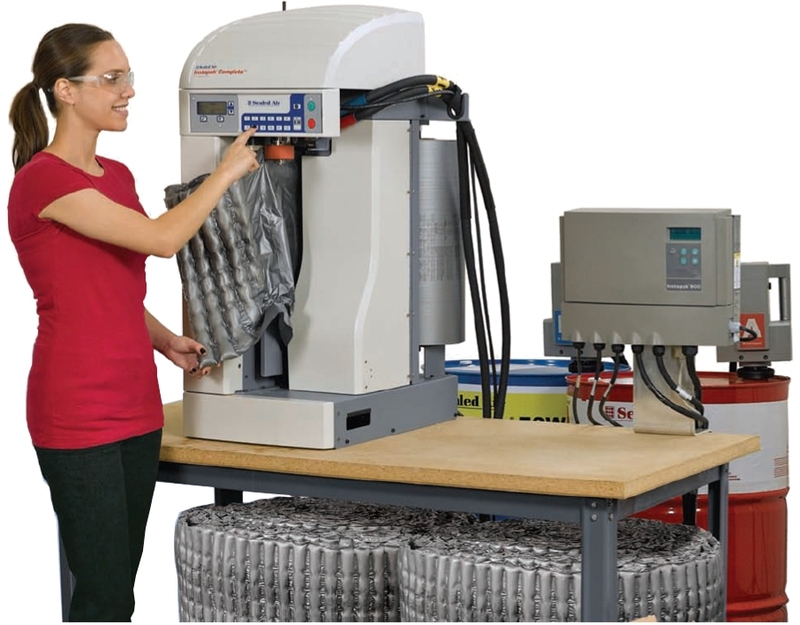 Electric metering pumps, built-in timers, and self-diagnostic controls guarantee top quality Instapak® foam. 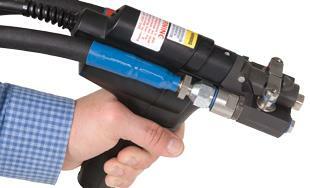 The 901 allows the flexibility of adjusting the amount of foam dispensed for your application. and more Instapak® is dispensed. 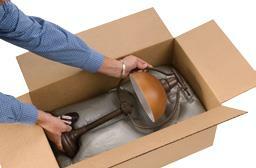 Your customer receives your product undamaged. With a minimal investment, the Instapacker® Tabletop foam-in-bag system will maximize your packaging productivity, reduce your material costs and increase customer satisfaction. 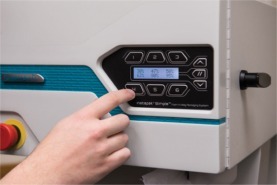 With the simple touch of a button, operators can produce up to 16 foam-filled bags per minute, guided by easy-to-follow graphics on the touch-key control panel. 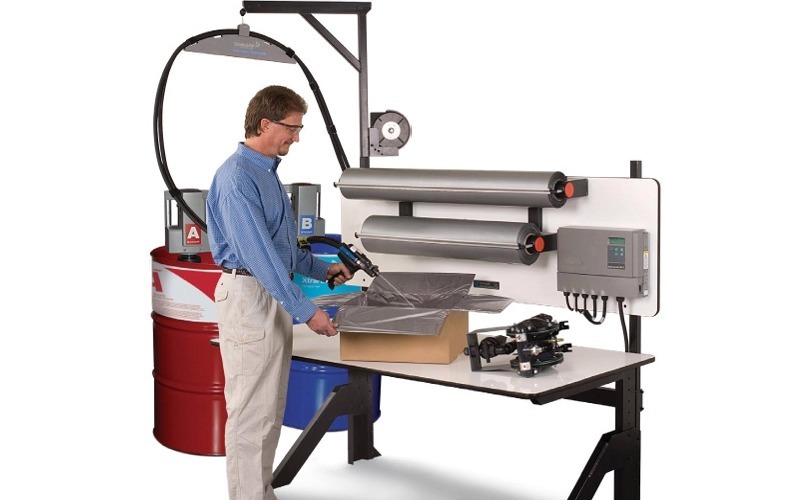 To simplify handling, the Instapacker® Tabletop system utilizes two sizes of perforated film rolls with a fixed bag size: IP16 (19” x 16”) and IP24 (19” x 24”). Compatible with all Instapak® foams. •	Simple diagnostic indicators show system status. •	Ten preset touch keys easily control foam amount. 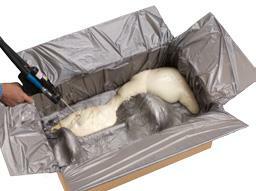 Maximum Value: This low-cost, foam-in-bag system reduces material and labor costs. 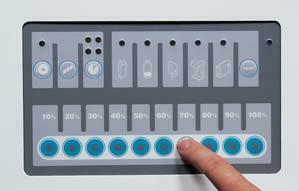 Easy to Use: A simplified touch-key control panel virtually eliminates the operator’s learning curve. Flexible: The Instapacker® Tabletop system supports the packaging needs of shipping rooms, multiple pack station operations and even the production floor. Protective: Instapak® high-performance packaging foam is designed to protect your products during shipping, warehousing and general handling. Step 1: Press any one of the 10 preset foam amount keys to dispense a foam-filled bag. Remove the bag of expanding foam by tearing at perforations. Step 2: The Instapak® foam-filled bag is placed into the carton and the product to be packaged is placed on top of the expanding bag. Step 3: A top cushion is formed by placing a second Instapak® foam-filled bag on top of the product and closing the carton. 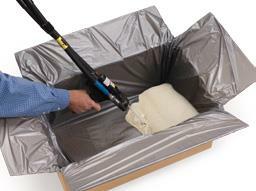 The Instapak® Complete™ foam packaging system from Sealed Air creates Continuous Foam Tubes (CFTs) and foam filled bags. This system uses a range of Instapak® high performance packaging foams that provide superior protection with minimal foam usage. 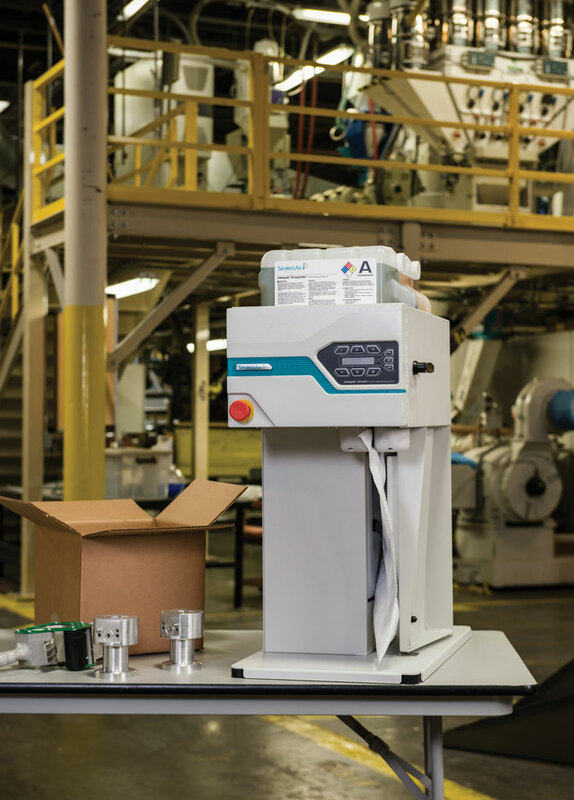 A compact design, customizable programming, and just-in-time accumulation capability makes the Instapak® Complete™ system a perfect fit for any size packaging operation. 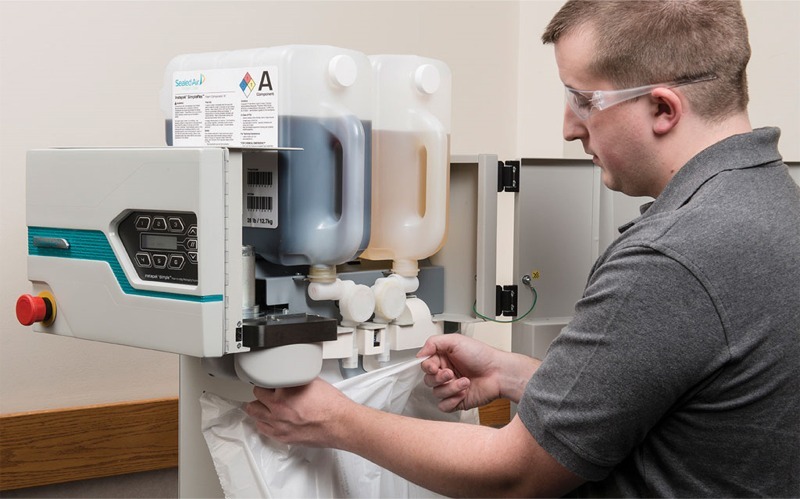 The Instapak® Complete™ system features a variety of new advancements that, in addition to foam filled bags, improve on our Instapak® Continuous Foam Tube (CFT) technology. Flow controlled dispensing allows the system to produce foam filled tubes, ranging from 1" to 5" diameter. Perforations can be programmed to suit individual needs and applications. User friendly touch key control panel allows operators to choose from 24 preprogrammed CFT or foam bag combinations. 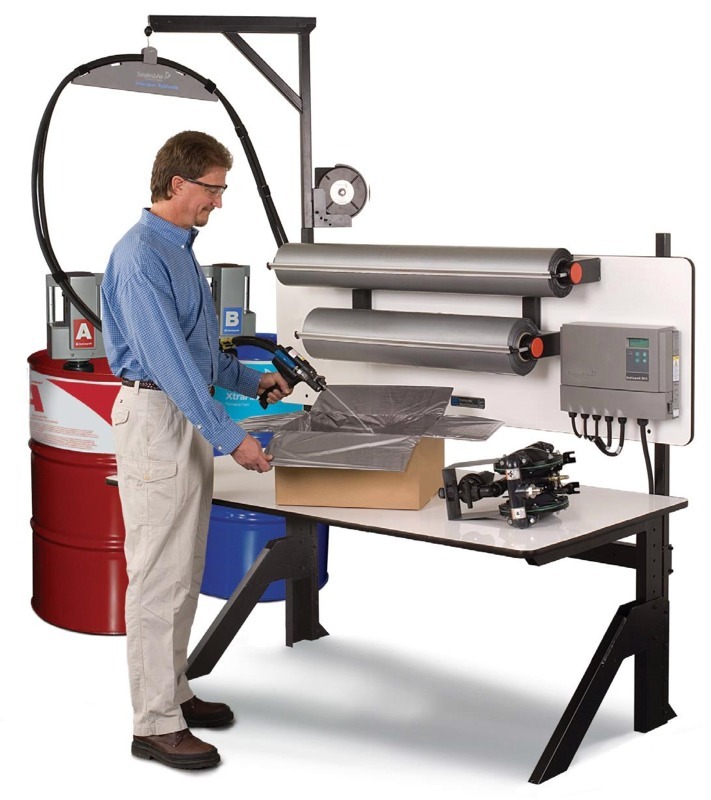 Our optional accumulator attachment feeds Instapak® CFT material into a cushion bin, where it can be batched for later use or delivery to multiple workstations. 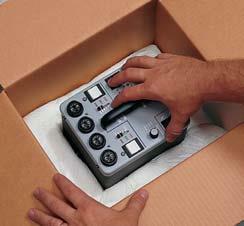 The flexibility of your operation is enhanced by the SpeedyPacker Insight® system. Versatile and efficient, you can dedicate a system to one packaging line or serve multiple packaging lines with one system. Combine the SpeedyPacker Insight® system with one of the unique formulations of Instapak® foam and you can product the perfect void fill, molded, or top and bottom foam-in-bag cushions. The new graphical display lets the operator select optimum bag size and foam combinations to provide fast, secure protection for a wide variety of items. Label and preset up to 156 cushion combinations, including Continuous Foam Tubes (CFT's). With a simple touch of a button, the SpeedyPacker Insight® system can produce up to 21 Instapak® foam-filled cushions per minute, increasing the productivity of your operation. The SpeedyPacker Insight® system delivers cost effective, superior product protection and presents your product to your customers in an attractive, damage-free package. Combine traditional SpeedyPacker® foam-in bag packaging cushions for side and top protection with a row of Continuous Foam Tubes as a pad for bottom protection to firmly secure fragile objects in place. You can use Continuous Foam Tubes as end wraps, side cushioning, corner posts or a complete product wrap-around to prevent damage to delicate edges and corners on virtually any product. Instapak® foam-in-bag molding systems create molded cushions for products that require a consistent, precise fit and superior product protection. 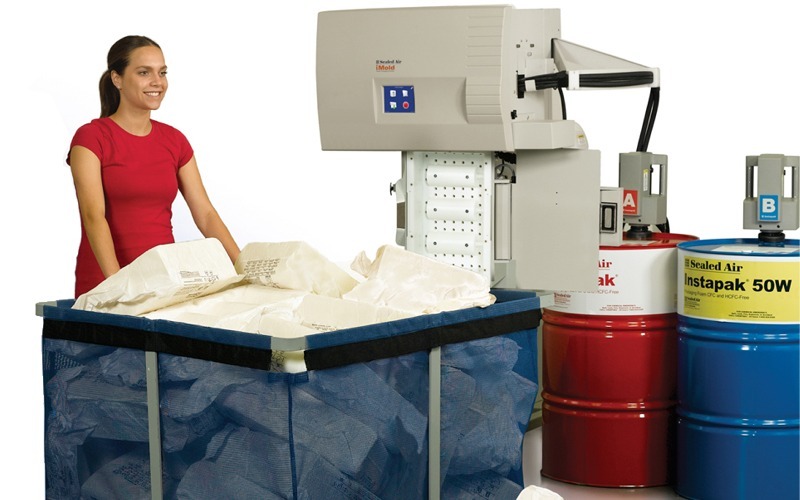 Whether you package 20 or 2000 products a day, there is an Instapak® foam-in-bag molding system best suited to produce protective cushions for your products. 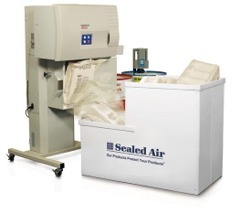 Please visit the Sealed Air® website for added information on Foam-in-Bag Molding Equipment . 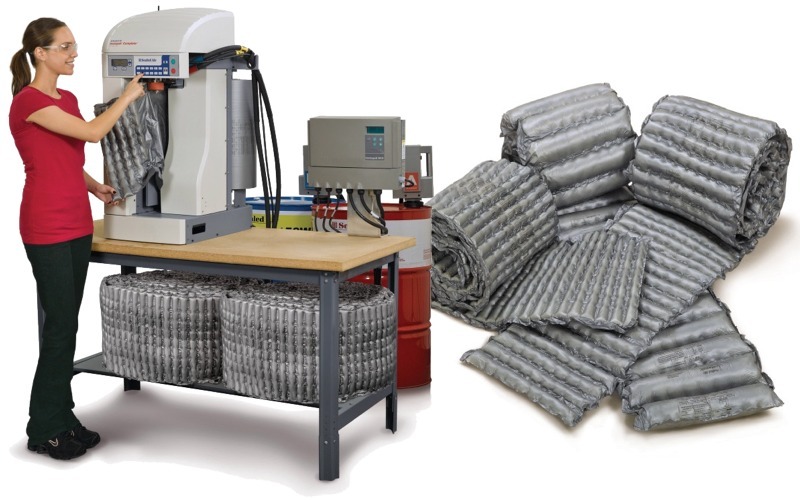 The fully automated Instapak iMold® system instantly creates engineered, pre-molded Instapak® foam cushions for immediate use or to be transferred into storage bins for batching applications. Sealed Air's patented technology guarantees cushion consistancy and integrity by dispensing the foam where it is needed most, while eliminating material waste. Operators only need to select a mold and the desired number of cushions. Instapak iMold® does the rest. 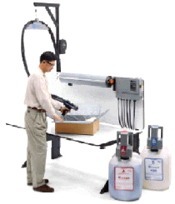 Breaking the Mold - Operations of any size can enjoy automated production of custom engineered foam packaging. Instapak iMold® system combines the superior protection of engineered foam packaging with the efficiency of automation normally reserved for high-volume operations. The iMold® system significantly reduces labor and ensures that each cushion is consistently a perfect fit for your specific packaging needs. Advanced Design for Unparalleled Quality and Versatility - The iMold® system is an incredibly easy to use foam-in-place machine, incorporating the latest patented technology. Utilizing Foam Dispersion Technology™, the system strategically dispenses the foam throughout the bag, allowing the production of a wide variety of cushion designs. RFID technology automatically recognizes mold changeovers and loads the correct cushion recipe, providing error-free operation, while the easy-to-use touch screen display minimizes set up. 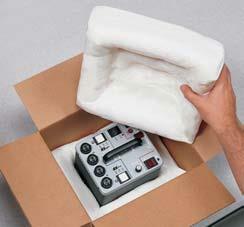 Finally, a unique cushion ejection system frees up personnel to pack and ship, rather than monitor cushion production. Just-in-Time Production, Just-Right Integration - The Instapak iMold® system has a modest footprint, making it the perfect size for decentralized, work cell packaging environments. It also has the capacity to accommodate batching operations, producing cushions in the quantity you need, only when they are needed. Helping You Create the Perfect Mold - Sealed Air has a worldwide network of 35 Package Design and Development Centers that can team with your personnel to assist in the creation of the ideal packaging solution for your application. 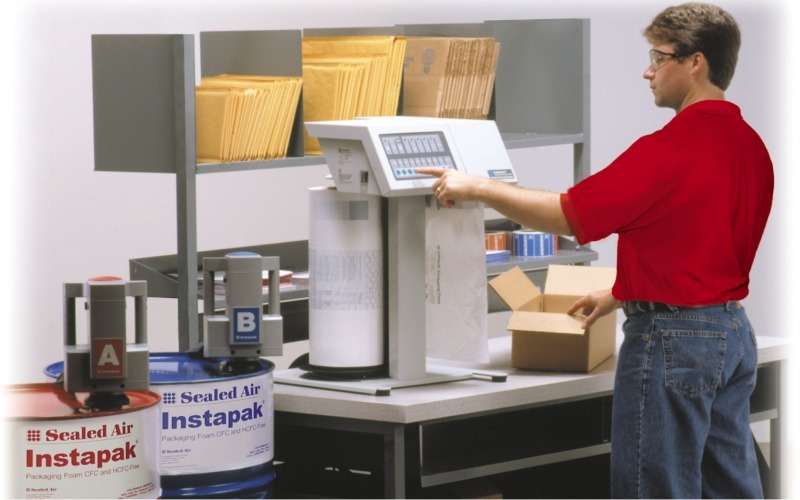 Sealed Air provides full-service design, prototyping, testing and tooling capabilities, along with an unmatched service organization to ensure a smooth implementation of the process. Do you need more information about the Sealed Air® Foam-in-Place equipment? 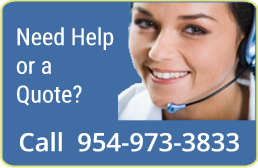 Just contact us. We will be glad to answer all your questions, arrange a visit, and or a demonstration.